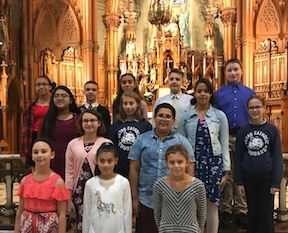 Our Student Government Induction Ceremony took place in our beautiful St. Stephen Church. Processions, prayer, commitment and lovely music added to the solemnity of the occasion. Watch the Student Government Officers recite their oath here.